This is an “Accordion” Script. So-called “Accordion” is a drop-down panel that holds some additional content. The ‘accordion’ is formed by a list (<dl> tag) with .accordion class. 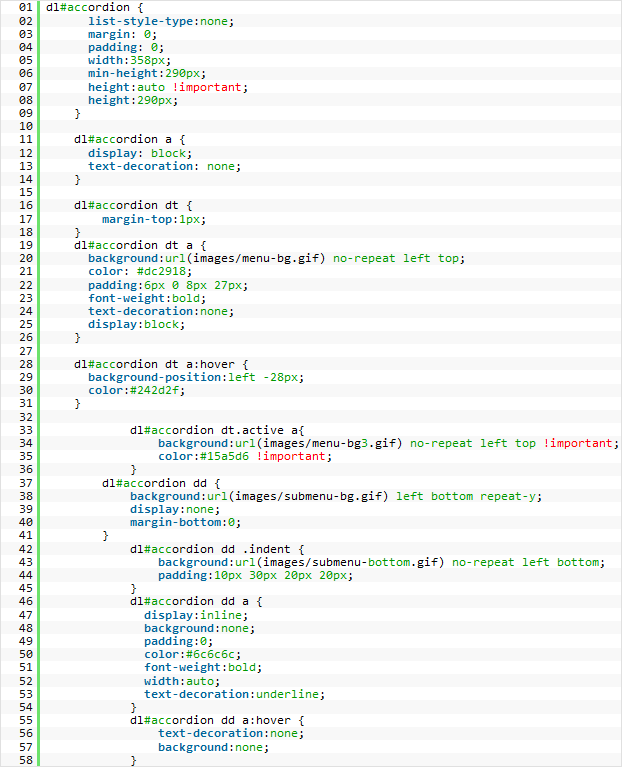 You can find script related stylesheet in the main style.css file. This entry was posted in Accordion and tagged accordion, jQuery. Bookmark the permalink.